I'm a time served electrician of 15 years (HOW LONG) and having just found this board and spent days reading the previous posts thought you might like to see one of my smaller restoration projects. I picked it up at a local fleemarket for a few pounds along with a small electric motor which I'll use to teach my children. The set itself has no Identification on it and I can only estimate very roughly the age (maybe c 1910-1925) and is probably a homebrew kit. 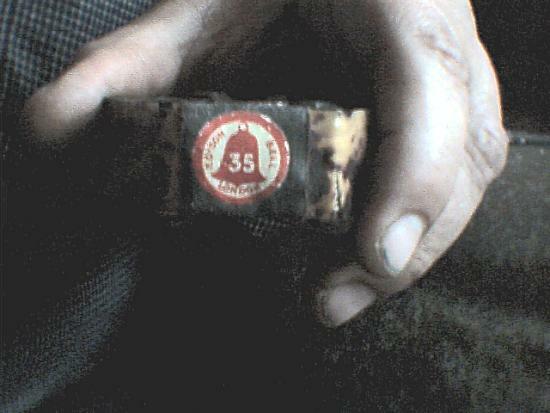 The coil has a label on it which states Edison Bell london with 35 printed in the middle of the red bell. 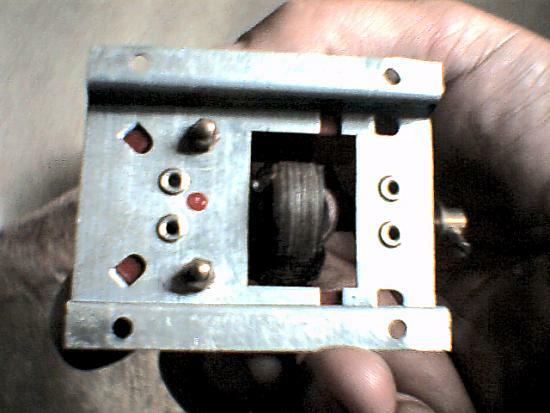 The four posts below the tuner are for the head phones, top left is aerial and top right is earth. The crystal and 'catswhisker' are missing but that can be overcome with a germanium diode till I can replace them. Sorry about the poor quality of the pictures but my other projects take most of my funds so I'm stuck with a cheap camera just now. 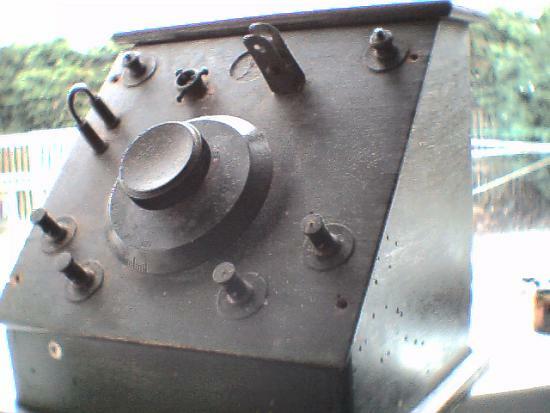 I'll submit some pictures of my 1954 generator control box and some of the other juicy bits as well as soon as I can get some decent shots. Thanks very much for the great pictures, mate, I can think of a few people here that will enjoy seeing a radio of this vintage. 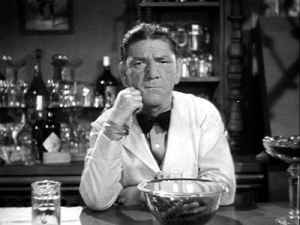 That crystal radio set looks like a real find and a half. 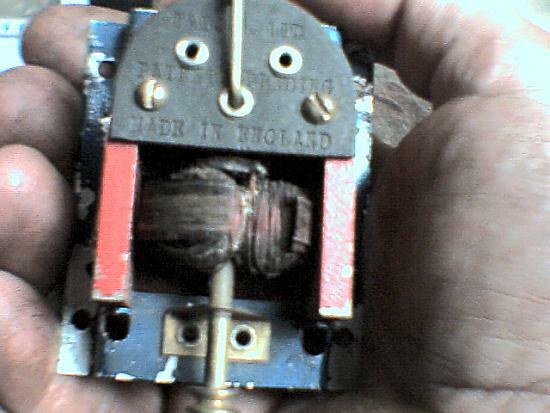 That's a strange sort of a variable capacitor, I'm guessing that the two tuning knobs are for Coarse and Fine tuning?. When I first saw it, I thought it may have been some sort of a variable inductance tuning system. This radio must be worth a mint, as I reckon you'd be pushed to find another like it these days. That motor is rather interesting. What would a motor like this have been used to power?. I'll send you a pic of the motor in bits. 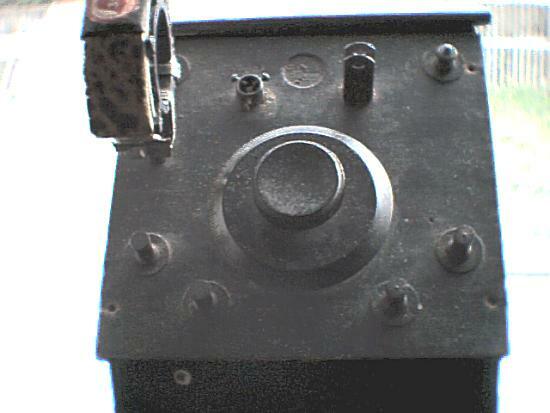 Cant quite figure out the variable speed and reverse part of it as the lever only seems to let one brush touch the commutator at a time and theres no sign of a rheostat. 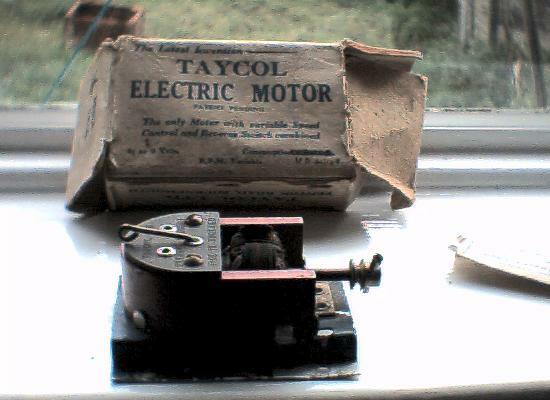 The motor itself was probably an educational toy. It would probably have been used on meccano or something like that. The tuning knob is a one piece affair so theres no fine tune. The scale on the knob is 0 to 180 degrees. Still haven't replaced the detector yet but until I do I'll use a Ge diode. 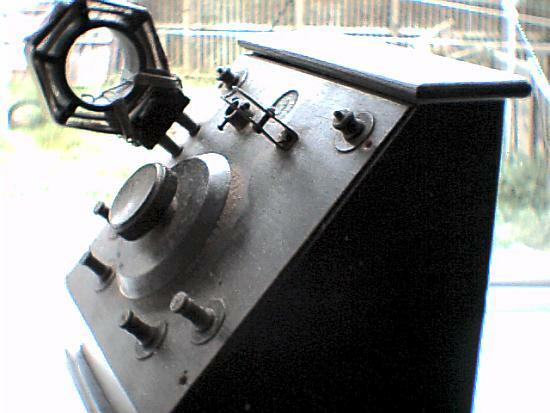 I'll also send you a pic of the gauges and rectifier from my 1954 Dale generator that I'm restoring. 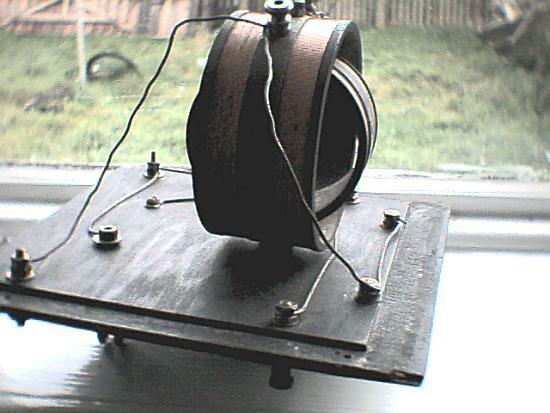 Over on this side of the pond, coils of that type were called "variometers", and were common on the TRF sets of the 1920's. That motor is really neat! Was that intended for use as a toy or educational device, or as a "real" motor in some kind of equipment?